Egypt's administrative court orders the cancellation of controversial parliamentary elections scheduled for April 22. Egypt's administrative court on Wednesday ordered the cancellation of controversial parliamentary elections scheduled for April 22, throwing the country deeper into political crisis. 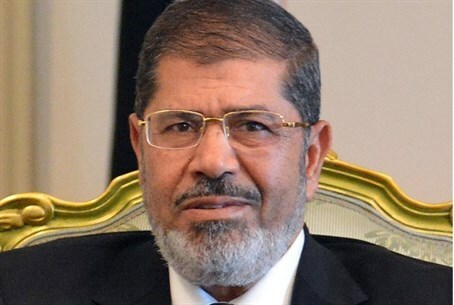 AFP reported that President Mohammed Morsi and his Muslim Brotherhood both issued statements saying they would respect the court's decision, although it was not immediately clear whether the president would appeal. Judge Abdel Meguid al-Moqanen said Morsi had ratified a new electoral law last month without sending it to the Supreme Constitutional Court for its approval, as required by the constitution. Consequently, the court referred the law to the constitutional court and cancelled Morsi's decree calling for elections. The law was issued by the Senate, which has been acting as a legislative body since a previous court ruling abolished the lower house of parliament in June over constitutional issues. The Senate sent it to the constitutional court, which returned it after rejecting several articles. The Senate then amended the law, but never sent it back for final approval. This puts Morsi in an uncomfortable position. He has repeatedly insisted that elections would usher in stability, dismissing criticism that the timing of the polls was wrong with the country gripped by unrest and division. In a brief statement, the president's office said it "respects" the court's move, "reaffirming its respect for the constitution, the rule of law and the separation of powers." Morsi's Muslim Brotherhood issued a statement saying it would "respect the decision of the administrative court to halt the elections and then send the matter to the constitutional court," according to AFP. The election had been scheduled to take place in four stages over two months. Egypt's main opposition bloc, the National Salvation Front, had already announced it would boycott it -- expressing doubts over its transparency -- and demanded a new electoral law. The gulf between the ruling Islamists and the opposition has been growing wider since November, when Morsi issued a decree expanding his powers. The decree was repealed after intense street pressure, but only after a controversial Islamist-drafted constitution was rushed through. The Brotherhood and its Islamist allies won an overwhelming majority in the legislative polls in the winter of 2011 and 2012. The NSF has accused the Brotherhood of wanting to "dominate all the state organs" and reiterated its demand for the formation of a government of national salvation. The opposition, less organized than the Brotherhood, insists that the president appoint a new government before the election. The presidency says the new parliament should have the right to appoint the cabinet. It organized massive protests against Morsi in November and December after he adopted the now-repealed powers that shielded his decisions from judicial review. The protests have slowed since he pushed through the constitution in a December referendum. The mass rallies have given way to smaller, but often violent, protests. In the latest development, the head of security in Suez Canal city of Port Said was sacked on Wednesday, as violence raged there for another day. Mohsen Radi was relieved of his duties and transferred to the prison services department in Cairo "in response to demands by residents and to help calm the situation," a security official said, according to AFP.